This article presents one of the neatest recursive pointer problems ever devised. 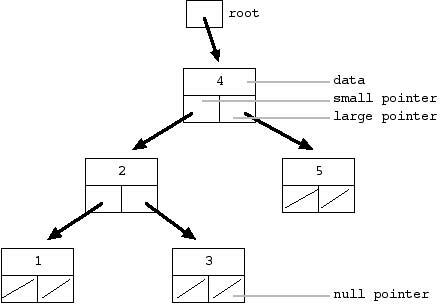 This an advanced problem that uses pointers, binary trees, linked lists, and some significant recursion. This article includes the problem statement, a few explanatory diagrams, and sample solution code in Java and C. Thanks to Stuart Reges for originally showing me the problem. This is article #109 in the Stanford CS Education Library --http://cslibrary.stanford.edu/109/. This and other free educational materials are available at http://cslibrary.stanford.edu/. Permission is given for this article to be used, reproduced, or sold so long this paragraph and the copyright are clearly reproduced. Related articles in the library include Linked List Basics (#103), Linked List Problems (#105), and Binary Trees (#110). The problem will use two data structures -- an ordered binary tree and a circular doubly linked list. Both data structures store sorted elements, but they look very different. 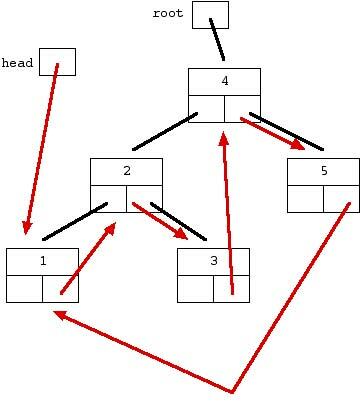 All the nodes in the "small" sub-tree are less than or equal to the data in the parent node. 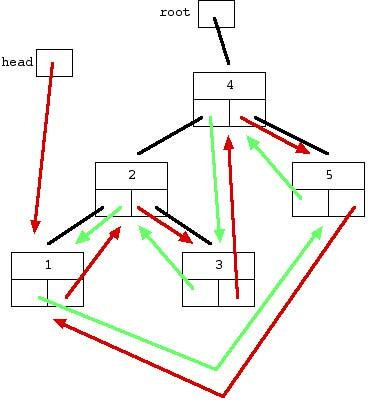 All the nodes in the "large" sub-tree are greater than the parent node. So in the example above, all the nodes in the "small" sub-tree off the 4 node are less than or equal to 4, and all the nodes in "large" sub-tree are greater than 4. That pattern applies for each node in the tree. A null pointer effectively marks the end of a branch in the tree. Formally, a null pointer represents a tree with zero elements. The pointer to the topmost node in a tree is called the "root". "Doubly linked" means that each node has two pointers -- the usual "next" pointer that points to the next node in the list and a "previous" pointer to the previous node. "Circular" means that the list does not terminate at the first and last nodes. Instead, the "next" from the last node wraps around to the first node. Likewise, the "previous" from the first node wraps around to the last node. The single node in a length-1 list is both the first and last node, so its pointers point to itself. Fortunately, the length-1 case obeys the rules above so no special case is required. The Trick -- Separated at Birth? Here's the trick that underlies the Great Tree-List Problem: look at the nodes that make up the ordered binary tree. Now look at the nodes that make up the linked list. The nodes have the same type structure -- they each contain an element and two pointers. The only difference is that in the tree, the two pointers are labeled "small" and "large" while in the list they are labeled "previous" and "next". Ignoring the labeling, the two node types are the same. This drawing shows the original tree drawn with plain black lines with the "next" pointers for the desired list structure drawn as arrows. The "previous" pointers are not shown. Figure-5 -- original tree with "next" and "previous" list arrows added This drawing shows the all of the problem state -- the original tree is drawn with plain black lines and the desired next/previous pointers are added in as arrows. Notice that starting with the head pointer, the structure of next/previous pointers defines a list of the numbers 1 through 5 with exactly the same structure as the list in figure-2. Although the nodes appear to have different spatial arrangement between the two drawings, that's just an artifact of the drawing. The structure defined by the the pointers is what matters. Here's the formal problem statement: Write a recursive function treeToList(Node root) that takes an ordered binary tree and rearranges the internal pointers to make a circular doubly linked list out of the tree nodes. The "previous" pointers should be stored in the "small" field and the "next" pointers should be stored in the "large" field. The list should be arranged so that the nodes are in increasing order. Return the head pointer to the new list. The operation can be done in O(n) time -- essentially operating on each node once. Basically take figure-1 as input and rearrange the pointers to make figure-2. Try the problem directly, or see the hints below. The recursion is key. Trust that the recursive call on each sub-tree works and concentrate on assembling the outputs of the recursive calls to build the result. It's too complex to delve into how each recursive call is going to work -trust that it did work and assemble the answer from there. The recursion will go down the tree, recursively changing the small and large sub-trees into lists, and then append those lists together with the parent node to make larger lists. Separate out a utility function append(Node a, Node b)that takes two circular doubly linked lists and appends them together to make one list which is returned. Writing a separate utility function helps move some of the complexity out of the recursive function. 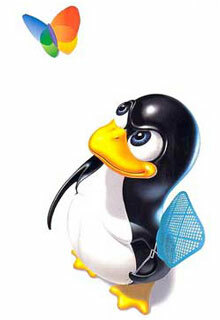 Trust that the recursive calls return correct output when fed correct input -- make the leap of faith. Look at the partial results that the recursive calls give you, and construct the full result from them. If you try to step into the recursive calls to think how they are working, you'll go crazy. Decomposing out well defined helper functions is a good idea. Writing the list-append code separately helps you concentrate on the recursion which is complex enough on its own. This code is not especially OOP. This code is free for any purpose. as dumb storage by TreeList. as a tree vs. where it is treated as a list. together so the second immediately follow the first. Sets the .next of the first and the .previous of the second. lists, append them and return the new list. 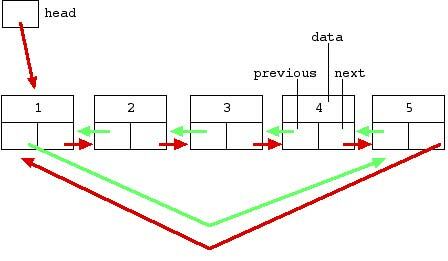 a circular doubly linked list which is returned. method messier than they should be. // Does not print the ending "\n"
printList(head); // 1 2 3 4 5 yay! C code version of the great Tree-List recursion problem. discussion and the Java solution.